The 300mm f/4E PF Nikkor is quite compact. This lens can easily fit into small camera bags. It has dimensions of 3.5 x 5.81″ (89 x 147.5mm). It weighs 26.63 ounces (755 grams), so it’s quite easy to carry around. The front filter thread is 77mm. The focus ring is large and easy to reach. The left side of the lens has three switches: Focus Mode (A/M, M/A, and Manual), VR (Off/Normal/Sport), and Focus limiter (full range or 3m-infinity). A tripod collar is optional, but I would imagine that most people will probably want to shoot this lens hand-held. If you do want to get a tripod collar, I recommend the one from Kirk Photo, which has a built-in Arca-Swiss style plate. I spent the last few weeks trying out this lens, and I have to say it delivered. 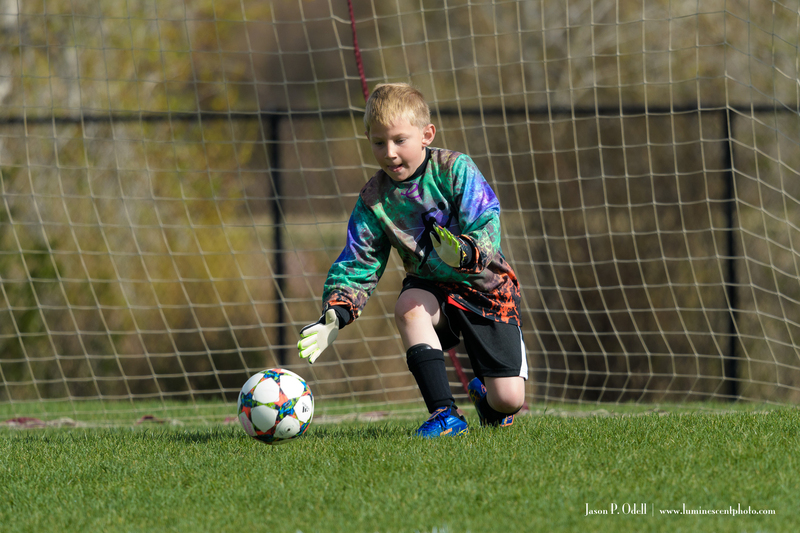 I tried this lens out photographing kid’s soccer games and also some backyard birding, and it worked quite well with both subjects. Focus was fast and accurate (I did not need to use AF Fine-tuning), and the small size of the lens made it really comfortable to use hand-held on my D750 and D500 bodies. Out of focus areas were rendered fairly cleanly, and the 9-bladed aperture design helps to improve bokeh, too. I used the VR system and as is typical with Nikon’s newer lenses, it works wonderfully. I found that for shooting action, I got the best results using the VR in “Sport” mode, which Nikon says is designed to be used when rapidly following moving subjects. It worked great. The 300mm f/4E PF VR Nikkor is designed to work on FX (35mm format) Nikon bodies, such as the D5 and D810. On a DX body such as the Nikon D7200 or D500, you get an angle of view equivalent to a 450mm lens. 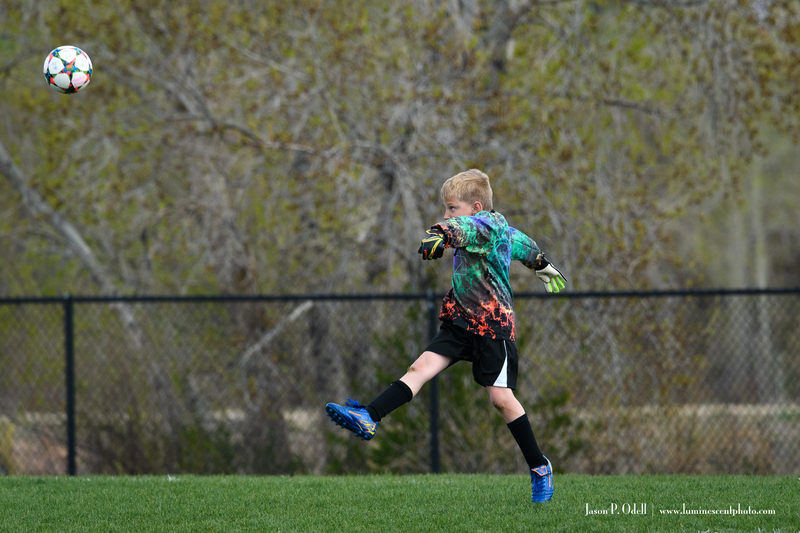 That was almost too long for the kids soccer games I was shooting. 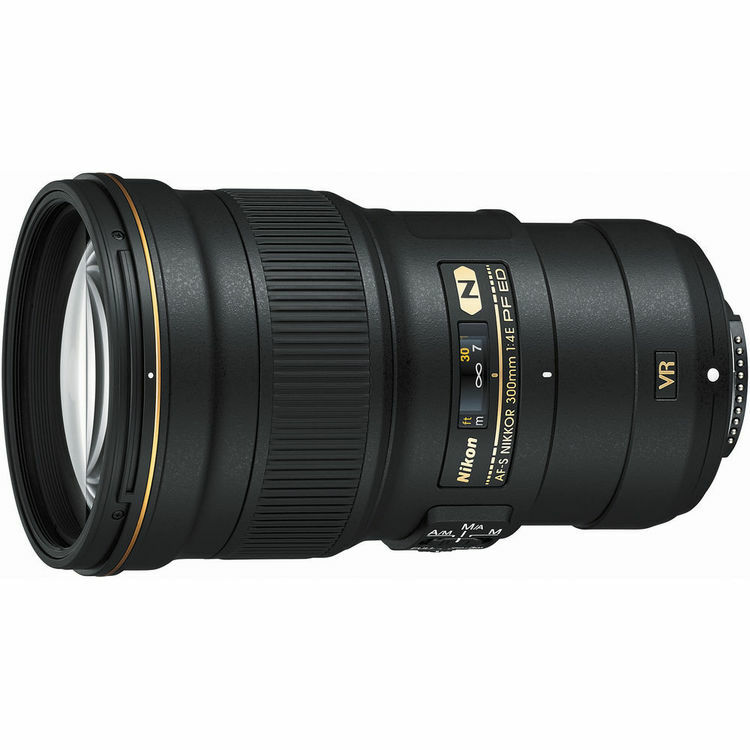 You can use the TC-14EIII teleconverter with this lens and transform it into a 420mm f/5.6. On a DX body, you’ll get the equivalent of a 630mm f/5.6 lens. That’s a lot of reach for a compact telephoto prime! The only potential drawback with this lens has to do with the Phase Fresnel element. In cases of extreme backlighting or specular highlights, Nikon states that you can get odd flare patterns. However, in my use I did not encounter this situation, and I think the issue is a minor one. In most situations, you’ll probably not encounter flare. The 300mm f/4E PF provides good subject isolation at moderate distances. 1/1600s f/4.5, hand-held on Nikon D500. The 300mm f/4E PF VR is great for shooting outdoor sports. 1/1600s @f/5 Nikon D500; hand-held. 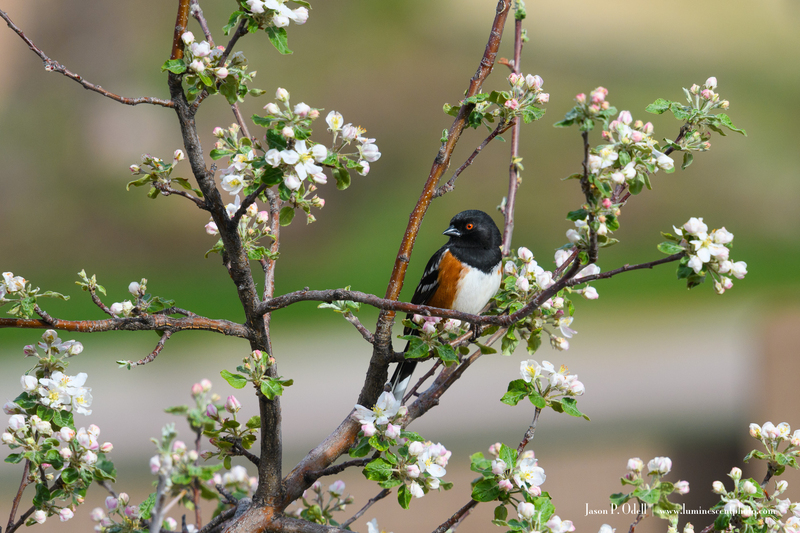 The 300mm f/4E PF VR Nikkor delivers great results and very nice bokeh when combined with the TC-14EIII teleconverter. 1/1000s @f/6.3 with TC-14EIII, hand-held on a Nikon D500. The AF-S 300mm f/4E PF ED VR Nikkor lens is a fantastic choice for outdoor and sports photographers who want excellent sharpness in a small package. This lens is nearly as small as my 70-200mm f/4 VR Nikkor, and it’s incredibly easy to hand-hold. Use the Sport VR mode if you’re tracking moving subjects and you can get some wonderfully sharp results without having to use super-fast shutter speeds. The only real downside to this lens is its price tag; as of this writing it lists for just around $2000 (check current price). That’s much more than the previous version, but I found having the VR system really makes a difference. For birding enthusiasts who want a smaller kit, put this lens on a D7200 or D500 with the TC-14EIII and go to town! Special Thanks to B&H Photo for providing me with a test sample for this article.